Standing at an elevation of 2,200 meters, Shimla is a wonderful hill station in Himachal Pradesh. People from far and wide carve to taste the beauty of this place and we satiate their carving through our Shimla Tour Package. This package takes you to the popular tourist destinations of Shimla like Museum, Ridge Maidan, Viceroy Lodge, Mall Road, and Christ Church. 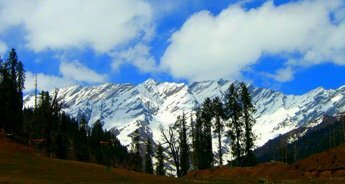 Moreover, in this tour package we will also make you explore some nearby places of Shimla like Kufri (one of the best destinations to witness snowfall) and Chail (in the yesteryears it was the summer capital of Maharaja Patiala).